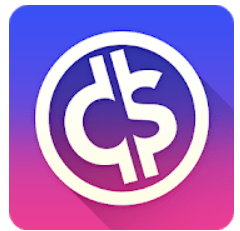 5 Apps Where You Can Win Real Money! Are They Legit? Last updated on March 24, 2019 By Nat Leave a Comment This post may contain affiliate links. We appreciate you supporting Rags To Niches! Full disclosure here. 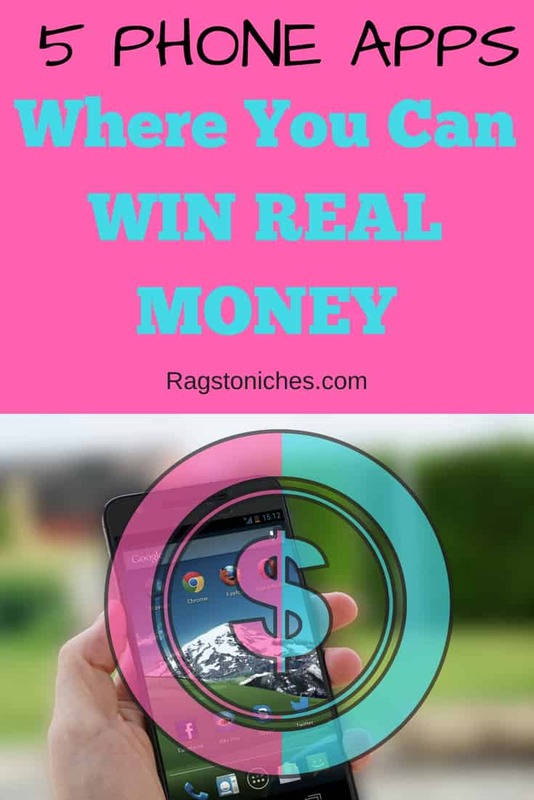 5 Apps Where You Can Win Real Money – Are They Legit? I have checked out plenty of apps that claim to make or save you money over the last couple of years. There are plenty of legit apps out there that really can help you make a little bit extra, or make savings on things you purchase. Generally though, you’re talking about making a little bit of pocket change here and there; nothing life changing. The only example to this rule, is if you win some online prize draws. There are some apps out there that give you the opportunity to win cash for things like; trivia games, free scratchcards and even just playing games. Your chances of winning are slim and, especially in the case of the trivia games, you may not even win much if you DO win. In some cases though, you could potentially make a decent sum. I wouldn’t recommend you JUST doing these because you’re desperate to win money; because it’s really not worth your time for that. But if you enjoy the app and you happen to have a small chance to win some money as well; what’s the harm in that? During this post today; I’m going to run over five apps that I have used myself and have enjoyed. I have rarely won money myself, but I still find it fun to participate. This is an App that I have very recently downloaded and reviewed. The idea is quite simple – you download the app and play a variety of games. You can win tickets by playing these games and each ticket gives you an entry into their prize draw. Recently, the prize has been around $1600. They hold prize draws regularly and if you want a bigger chance to win, you can save up your tickets in your own little virtual safe. I currently have around 9000 tickets saved up and it appears that many winners have less tickets than this – so, you don’t necessarily need tens of thousands of tickets to win. There are also other ways to win additional entries, such as by downloading apps that they suggest or partaking in certain tasks. Some of which will earn you thousands of additional entries. I’m unsure about what the odds are of winning, I’m sure it’s tiny. But I do quite enjoy some of the games on offer, it’s something to for the odd five minutes here and there. You can check out my full review here. Otherwise, you can sign up below. Use my code: MSTTT If you would like an additional 2,500 entries! This is a popular app, because it gives you the opportunity to win real cash – by scratching FREE scratchcards. It sounds little too good to be true doesn’t it? Well, in some ways, it kind of is. That’s because, the chances of winning anything at all seem to be very slim and I have yet to hear from anyone who has won a big prize. There is a scratchcard with $150,000 win and plenty of others to win $1000… I just haven’t heard from anyone directly yet who has won big prizes. Have you been lucky? Let me know in the comments! Read my full review here. Or simply sign up below. HQ app is simple – answer 12 questions ranging from easy to hard. Answer all 12 correct and win a cash prize. The trick is… it’s amazinly difficult to answer all 12 questions and they throw in some real head scratchers. This is one of my all time favourite apps and I still haven’t won a penny. But the dream lives on! During one of the games, there was only 8 winners in an $8000 game; where a winner took $1000 each. Even though there were something like 100k players during that game, it was pretty exciting. I even played a game where Dwayne Jonson AKA the ROCK presented the show and was giving a huge prize away. The prize was for an awesome 300k. I posted the video for that game in my review here; where you can read all about HQ. Cash show is HQ’s less exciting cousin. However, I still enjoy cash show as well, the prizes are not very exciting at this point in time, but hopefully this will imrpove as Cash Show grows in popularily. An important difference between Cash Show and HQ is; you only need to get to question 6 to get SOME cash on Cash Show. You will get a small portion of the winnings from question 6-12, getting the most if you get to the final question. Most of the time, the people who get to question 12 only get around £3, (I’m in the UK, so I’m unsure about elsewhere). There have been the odd occassion where the show have actually given the WRONG answer, which has resulted in a bunch of people winning who shouldn’t have. Also, those winners won more than usual, as a majority of people chose the correct answer. That’s the other thing with Cash Show, the questions are much easier and, as a result, a lot more people make it all the way through to question 12. In any case, it’s all still fun and I recommend giving it a go. You can find my review here. If you’d like an extra life – you can use my code: 6QPCFS. 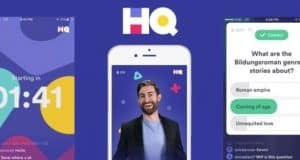 Yet another trivia app, yes HQ has inspired several others to try their hand at the same. This is one app I have less experience with. I have managed to win something, sadly only $0.31 so far though! There are various cash games, although they tend to be around $500 when I’ve played. Also, it can be on at difficult times if you’re in the UK, (try 1am). Sometimes earlier at about 11pm – to be honest, I still don’t quite get the schedule! Basically, the rules are the same as HQ and you do need to answer all 12 questions to win… although, the questions have seemed easier when I have joined the game. It’s still early days for this app; but it still could be one that will grow and develop over time. So, that’s it for now – 5 apps where you can win real money, for free. I’d like to see more of these apps available. It’d be great if they could create some of these apps for bigger prizes…. I mean, 300k prizes like HQ have are awesome – but plenty more opportunities like that would be ideal. I do think this is only the beginning though. Apps of this callabre are still pretty new and I’m looking forward to seeing more exciting opportunities opening up in the future. I will be sure to check out anything that is released. Beyond Luck & Wins: Making Money Online? I love the excitement of a prize draw, but what about making your own luck when it comes to making money? I used to make money entering prize draws and doing thousands of sweepstake entries online – it was hard work and ultimately, it’s not something I could rely on long term. No sooner as you stop entering, that’s it! No more wins. I wanted to do something where the work I put in right now, would continue to pay off in the future. As an example; imagine writing a popular book. You may have written the book years ago and yet, it could have the potential to make you money long into the future. That’s the sort of passive income I was interested in and what I looked into trying out for myself. No, I didn’t write a book, (not yet anyway). But I did start some websites. Several actually. Because, having your own blog or website can eventually create passive income over time. Learn How You Can Make Money Here. That doesn’t mean you can just set it and forget it, (not forever anyway) but it does mean that you can still get paid for work you put in years ago. I have several posts that I wrote well over a year or more ago, that continue to bring in money over time. The more you write, the more content is out there, the more traffic you can generate and the more money. You can make money from a site in various ways – from advertising, affiliate marketing, sponsored posts and more. What you need is traffic and the ability to rank your posts highly in the search engines. I had no idea how to do any of that when I started, but it’s actually not that complicated. It isn’t easy to make money – it’s can be very difficult at first and time consuming. There’s also no risk in trying; minimal costs involved to start and you can learn loads in the process too, things you probably never imagined you would be able to do. You also may want to check out my post here – 40+ ways to make your first dollar online. Let me know in the comments if you have any other app suggestions by the way, or if you’ve won any big prizes!! !